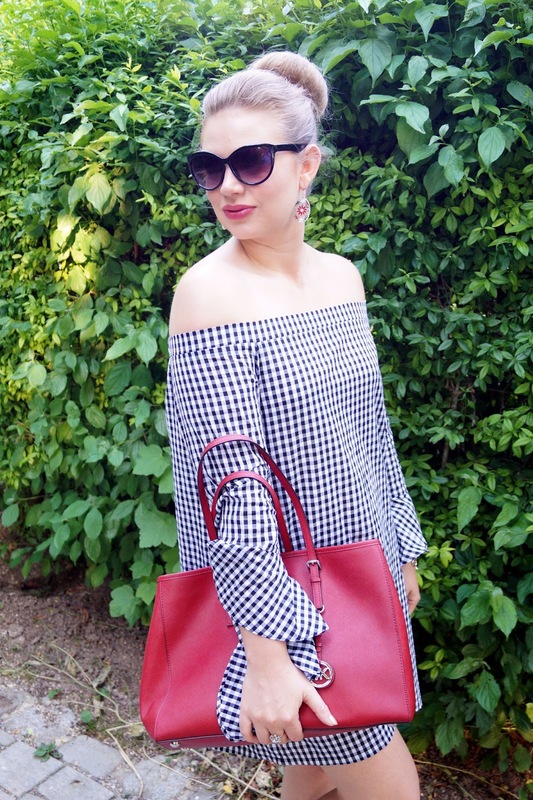 Outfit: SheIn gingham ruffle sleeve dress…. 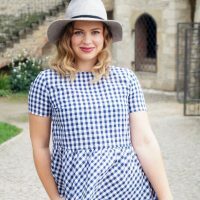 gingham is such a huge trend for summer you can´t get away without owning any piece of it. 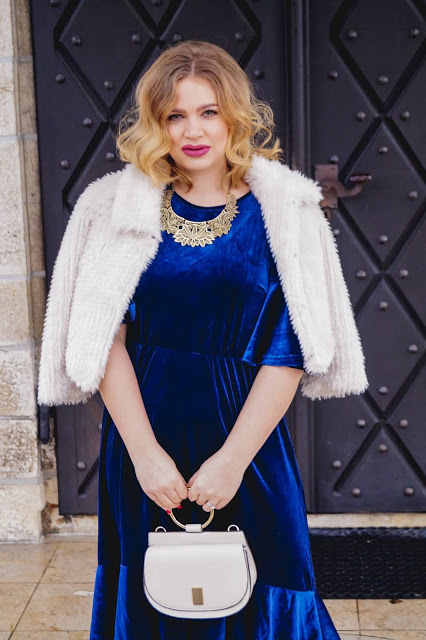 I have several pieces but this dress is one of the nicest I got. Have you seen the beautiful sleeves ? They are gorgeous. 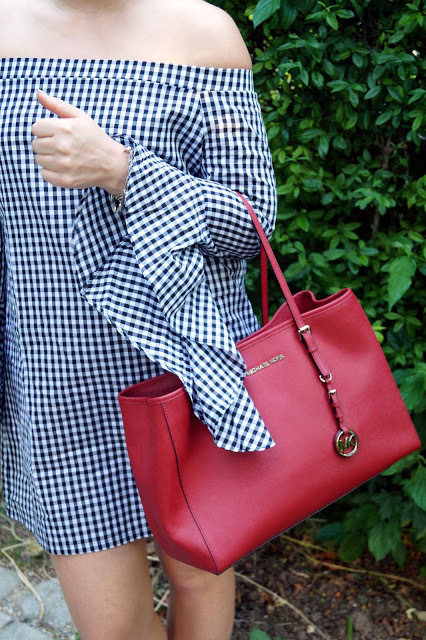 A simple black and white gingham print is so versatile cause you can pair it with so many vibrant colors. Wouldn´t yellow be nice too? When you are reading this we are already on our way to Italy and I am so excited. I have never been to the place we are heading. So coo. Outfit: Knitted Dress / Red Blazer Jacket / Checkered Scarf….